Download OMH AIO Driver Installer V2OMH AIO Driver Installer V2 is a free Application for windows it helps you to install ADB and Fastboot Driver ,Spreadtrum Driver, Universal ADB Driver, Samsung Usb Driver, Lenovo USB Driver, MTK Vcom Driver, Lenovo Driver, Qualcomm 9008 Driver, Intel Usb Driver, Huawei Usb Driver, Miracle Box Driver, HTC Usb Driver In Only One Click. 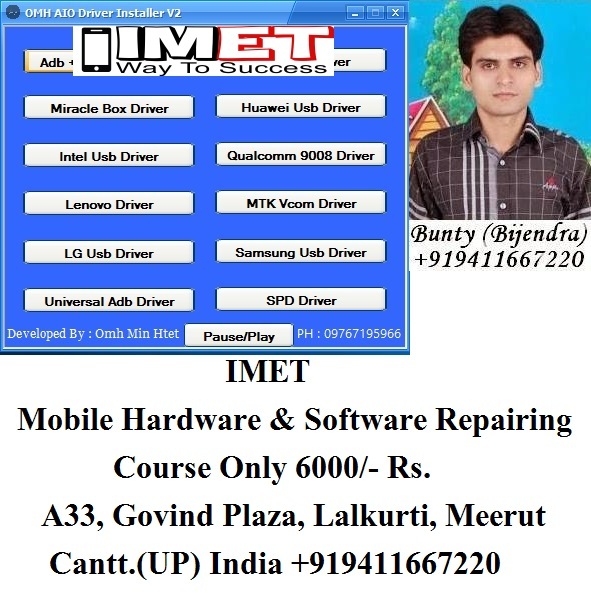 Hi friends if you are looking a driver package for all mobile driver issues, than you are right place right now, this post only for you , today We want share with you a driver utility disc tool download this useful software and run on your pc and tell me how much it works for you, supported device list is given below, chek here. License: OMH AIO Driver Installer V2 is freeware Utility Tool . You may try it free for always. Copyright : OMH AIO Driver Installer V2 is created and distributed by OMH Min Htet (developer). So, full credits go to OMH Min Htet (developer) for sharing the tool for free.